Is this the DEATH of cold calling for Recruiters?! Over the past 30 plus years, calling a cold list of suspects has arguably been one of the most preferred routes to market used by recruiters all over the world. It was also considered the only route to market that allowed you to speak directly to your prospect, asking them some powerful questions that elicit the pain the client is having most in their business, that would lead to them using you as a recruiter. However… there has been a HUGE shift in the effectiveness of telemarketing across all sectors. With prospects becoming more educated and sophisticated, along with outsourcing of recruitment and of course the dreaded PSL objection. Consequently many recruiters are finding it extremely challenging, if not impossible, to get through to decision makers and find the vacancies. In fact some of the top performing recruiters see “cold calling” as a dying art for generating new clients. IS This The Death of cold calling!? In my opinion “telemarketing” and “cold calling” are two completely different things! One will get you great results and generate leads for your business! And the other will waste your time, your money and in some cases really destroy the confidence and self-esteem of even the most confident of recruiters. In the past “cold calling” has always been one of the most preferred routes to market for all recruiters. In fact many of the most successful recruiters in the world today have built highly successful multi-million pound Recruitment Businesses by using cold calling as their main method for generating leads. As I alluded to earlier, evidence has shown that prospects are becoming less responsive to cold calls. And on top of this, new technology has been introduced that claims to block unwanted cold calls. This means it will be considerably more difficult to get through to ‘key decision makers, making your investment of time and money all a lot more expensive! 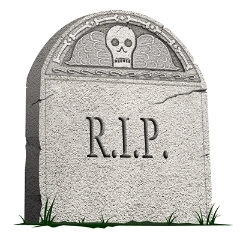 IS this the DEATH of telemarketing for Recruitment Business Owners?? I am sure those responses sound familiar to you, in fact you have probably heard a few more. The truth is, “telemarketing” is evolving! Meaning that to stay ahead of the game and create a business rather than a job, you need be a lot more on the ball than you did 10 or even 5 years ago, or you’ll be washed away by the recruitment companies that are using more sophisticated marketing methods. Imagine calling your prospects and the prospect wanting to hear what you have to say. For the modern-day Recruitment Business Owners, the most effective method for generating leads is implementing the ‘Recruiters Tactical Marketing Plan’ (RTM)! Part of this plane entails you and your business ‘touching/communicating’ your database regularly; cultivating your list of prospects with content that will be considered of high value to them; alternating between both online and offline marketing campaigns. What you will discover is when you call them to discuss their recruitment requirements, is that your conversion rate will improve by as much as 85%! You see you will no longer be “cold calling” potential clients. But you will be telemarketing to targeted prospects, who not only trust in you, but have heard of you and your recruitment company. This is the future of telemarketing for Recruitment Business Owners. To get access to your ‘Recruiters Marketing Plan’ and ‘Powerful Telephone Script’ and how to ‘Overcome the Most Common Objections’ click here https://my.timedriver.com/29K9J and book a 30 minute telephone meeting. Book your telephone appointment NOW and say goodbye to “cold calling” for ever. You are currently browsing the drewcoachingforrecruiters blog archives for May, 2011.